Angie’s List is a paid subscription-supported website containing crowdsourced reviews of local businesses throughout the United States. Service company ratings are updated daily, and are graded on an A through F scale in areas ranging from price to professionalism to punctuality. Each year, the Indianapolis-based company announces the recipients of its “Super Service Award.” Winners have met strict eligibility requirements, which include an “A” rating in overall grade, recent grade, and review period grade. The company must be in good standing with Angie’s List, pass a background check and abide by Angie’s List operational guidelines. 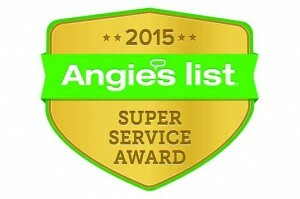 Two additional Florida pest management firms who have earned the coveted Angie’s Super Service Award for 2015 (see previous list here) are Delray Beach-based Hometown Pest Control and Port Saint Lucie-based Reynolds Pest Management. This is Reynolds’ fourth consecutive win. It is also Hometown’s fourth Super Service Award, having previously won in 2011, 2013 and 2014.